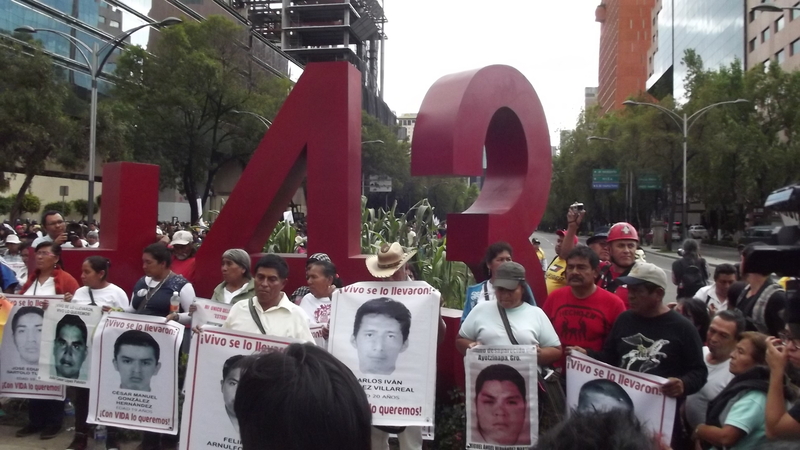 The disappeared students from Ayotzinapa were not incinerated in the Cocula dump, as the Federal Attorney General’s Office had indicated at the beginning of this year, in accordance with the findings of the Interdisciplinary Group of Independent Experts (GIEI) of the Inter-American Commission on Human Rights (IACHR), as asserted during the presentation of its report 6 months on (6 September 2015). 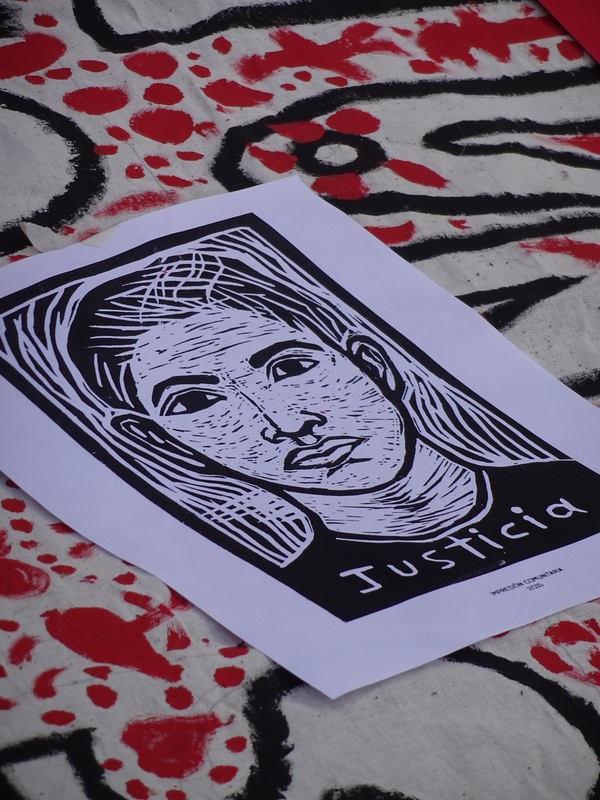 What took place against the students of Ayotzinapa nearly a year ago in Iguala, Guerrero, was “a massive attack” that involved 180 direct victims, including 6 extrajudicial executions and 43 “forcible disappearances,” as the IACHR experts discuss. The expert Carlos Beristain affirmed that “there was the presence of different State agents (municipal, ministerial, and federal police) and we did not find any evidence of attempts to rescue. What happened was an attack that went beyond the mere neutralization of persons.” Beyond this, “there was a delay in attention to the victims. The ambulance crews were afraid to go out.” The experts further stressed that the ovens and crematories that may have been used to burn the students’ bodies must be investigated. For their part, the parents of the disappeared request the indefinite presence of the specialists until truth and justice are revealed. The expert José Torero visited the Cocula dump on 12 July, accompanied by the GIEI, and he established the necessary conditions to incinerate a human body. “He showed us the evidence and the state-of-the-art science indicating that the optimal means of incinerating a body is a crematory oven. These conditions require between 90 and 120 minutes to burn a sole corpse,” noted the expert Francisco Cox during the press-confernece. He also specified that to incinerate a body 650 kilograms of wood are needed. Besides this, the flames that would be needed would have overwhelmed the dump altogether, destroying everything else present—something that did not happen. “The incineration of the 43 could not have transpired in the Cocula dump,” stressed Carlos Beristain. In light of this, the experts called for an investigation of the crematory ovens that could have been used to burn the bodies of the students. Another affair that the experts clarified is that there were five, not four, buses that had been taken by the students on 26 September. The existence of the fifth bus was first denied in the initial investigations. In light of video evidence indicating its presence, federal authorities presented a truck for the experts to examine, and the latter concluded that it did not seem to be the same one that appeared in the video taken the day of the disappearances. To date, this bus has not been found, and the GIEI suspects that it could have been a vehicle used for the transport of drugs that had been casually taken by the youth, thus provoking the massive and indiscriminate attack prosecuted by unknown actors who have been protected by total impunity. 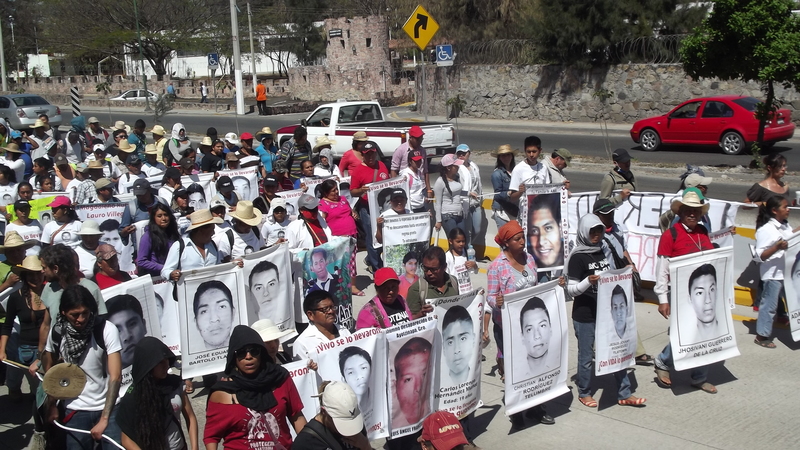 Both the parents and mothers of the disappeared as well as the organizations that accompany them, the Tlachinollan Mountain Center for Human Rights, and the Prodh Center stressed that all the authorities who have impeded the investigation should themselves be investigated. They also specified that the investigation should incorporate the entire context of criminality, as it is not believable that collusion between organized crime and the authorities is limited merely to the municipal level. As on every 26th of the month, several people came together in a collective action to demand the appearance with life of the 43 students from the “Isidro Burgos” Rural Normal School of Ayotzinapa. This time the action took place on Paseo de la Reforma in Mexico City, where a march was held to the Zócalo of the capital. On this eleventh month since the forcible disappearance of the 43, though the relatives recognize the exhaustion and despair accumulated by the pain and suffering caused by the absence of the youth, they affirmed that they will continue to demand justice until their sons appear. 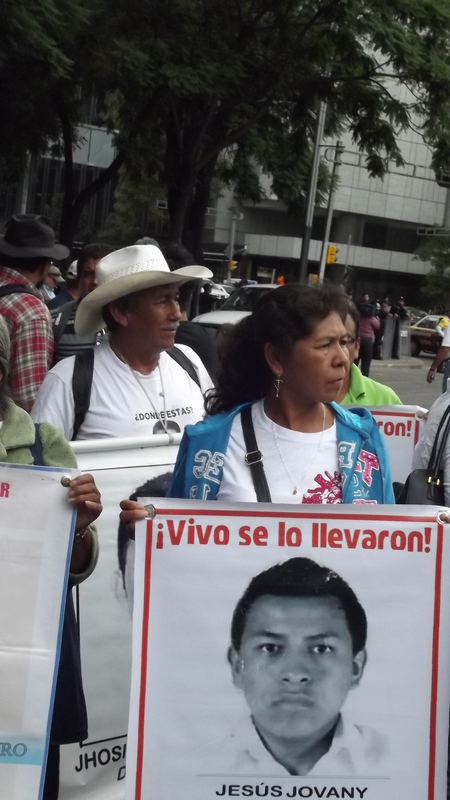 At a rally at the end of the march, parents of the disappeared condemned the supposed “historical truth” announced by former Federal Attorney General (PGR) Jesús Murillo Karam, according to which the students were arrested and subsequently handed over to the “United Warriors” drug cartel, who supposedly incinerated the students and threw their remains into a local river. The Interdisciplinary Group of Independent Experts (GIEI) also refuted this version of events, beyond releasing numerous recommendations to clarify the case. 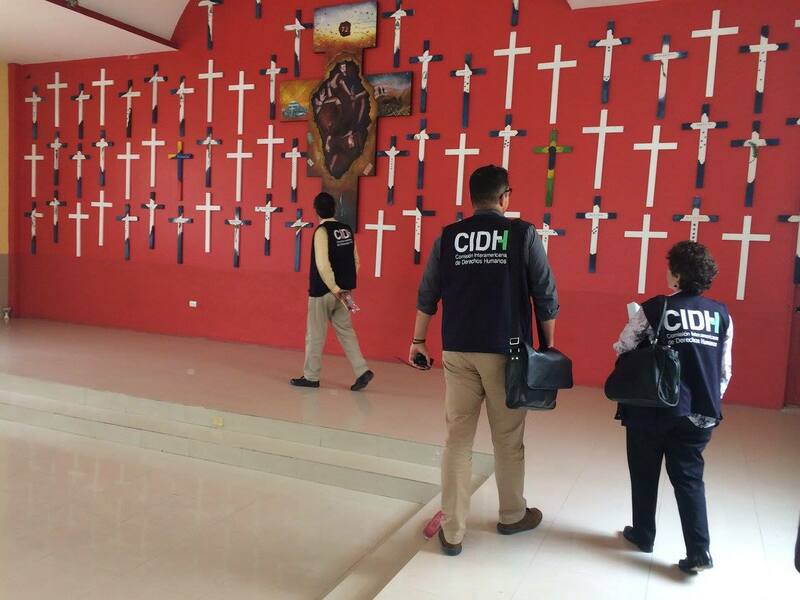 According to Cimac News, the federal government has not carried out even half of these recommendations, such as for example interviewing the members of the 27th Infantry Batallion of Iguala, who were present during the disappearance of the students. At the rally was expressed solidarity with other struggles, such as the clarification of the acts that took place in the Narvarte neighborhood of Mexico City, where 5 people were killed recently, including the activist Nadia Vera and the photojournalist Rubén Espinosa. Beyond this, the families announced that they are preparing actions to pressure the government for the one-year anniversary of the forcible disappearance on 26 September. They announced that they would hold a hunger strike for three days and organize a mega-march in Mexico City, beyond preparing a “counter-report” to respond to the Third Governmental Report. It should be stressed that media such as Aristegui News reported attacks on the press after the march.